The Inno Pocket Z4 is a mini ZOOM Moving Head that creates beautiful washes of color with its 10-60-degree beam angle. 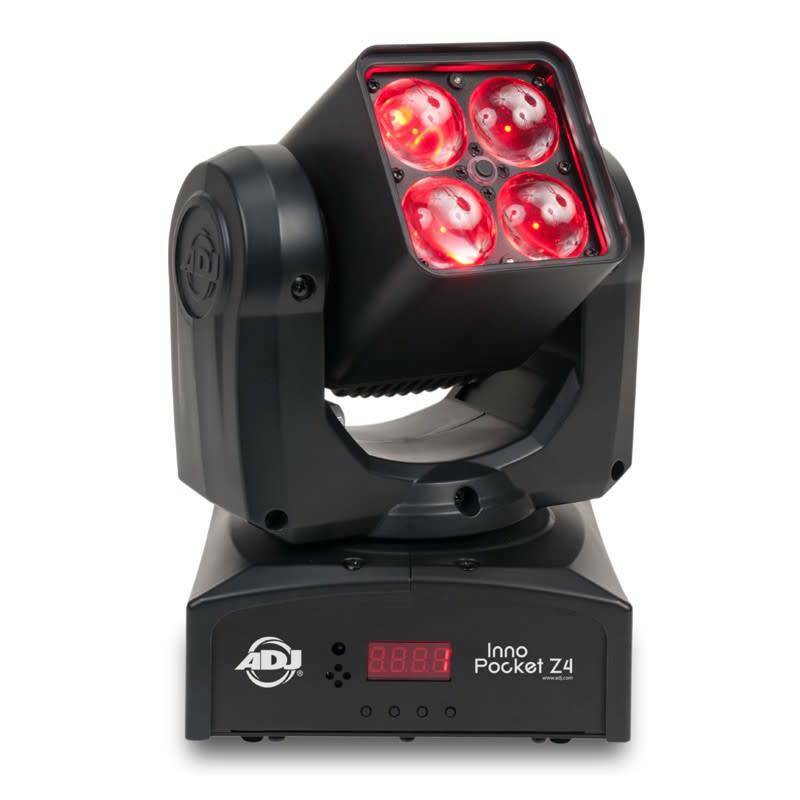 The ADJ Inno Pocket Z4 is a mini ZOOM Moving Head that creates beautiful washes of color with its 10-60-degree beam angle. Its compact size and lightweight makes it ideal for mobile entertainers, small club and bars, roller rinks, bowling centers, churches or any mobile production. Compatible with the ADJ Airstream IR App. The ADJ Inno Pocket Z4 is a mini ZOOM Moving Head that creates beautiful washes of color with its 10-60-degree beam angle. Its compact size and lightweight makes it ideal for mobile entertainers, small club and bars, roller rinks, bowling centers, churches or any mobile production.